Past-President of the IGU and the IYGU’s official applicant to the United Nations; Professor Emeritus of Geography at the Pennsylvania State University and Executive Director Emeritus of the Association of American Geographers (AAG); he edited Global Change and Local Places: Estimating, Understanding, and Reducing Greenhouse Gases and the summary volume of the AAG’s 1995-2002 Global Change and Local Places research project. Director of UNESCO’s Mahatma Gandhi Institute of Education for Peace and Sustainable Development (MGIEP); former Executive Director of the International Human Dimensions Programme on Global Environmental Change (IHDP). He has been actively involved in trying to develop the framework to tackle the dual issues of ecosystem deterioration and poverty reduction. He has been actively involved in the Millennium Ecosystem Assessment (MA) as a coordinating lead author and was a member of the core writing team of the MA’s Ecosystems and Human Well-Being Synthesis Report. He has also been the chief architect of the development of UNEP’s conceptual framework on poverty and the environment. Prof. Chao Gejin is the President of the International Council for Philosophy and Human Sciences (CIPSH), the International Society for Epic Studies (ISES), member of the Chinese Academy of Social Sciences, Director and Senior Research Fellow of Institute of Ethnic Literature of CASS (Beijing, China), majoring in oral traditions (epic poetry in particular), and minorities’ literature in China. former director of the London School of Economics, is most recent book publication is Politics of Climate Change, and currently the most-cited social scientist; he is a Member of the UK’s House of Lords. Executive Director of the International Council for Science (ICSU) (since March 2015); previously Executive Director of the International Social Science Council (ISSC) (Feb 2007-Feb 2015). Heide read for a M.Phil in contemporary social theory at the University of Cambridge (UK) and holds a PhD in science and technology studies from the University of Twente (Netherlands). She has worked as a science policy maker, researcher and consultant in the Netherlands, Germany, the United Kingdom and South Africa. She holds membership of several international advisory committees, including the Scientific Advisory Board of the Potsdam Institute for Climate Impact Research in Germany. Past-President of the International Social Sciences Council (ISSC), the world’s umbrella organization for social sciences; he was the State Secretary of the Government of Norway’s Secretariat for Long-Term Planning in the 1980s and Norwegian Secretary of Education and Research (1990-94), as well as of Health and Social Affairs (1995-1997) and one of the initiators of the Grand Challenges program. President of the IGU, author of many books in the field of political and social geography, former Chair of the IGU Commission on Political Geography (1996-2004) and guest Professor at several foreign universities. is a former Vice-President of the IGU (2000-2008) and a former Chair of the South African National Committee of the IGU. He is Professor Emeritus and Research Fellow of Geography and Environmental Studies at the University of Zululand and member of the ICA, IGBP, and IYPE in South Africa. In addition, he serves in Commissions on Geo-Parks and Tourism, Leisure and Global Change and presently the Chair of the South African Weather Services. National University of Rwanda … under construction. President of ICSU and Canada’s leading expert on climate change. He contributed to the reports of the Intergovernmental Panel on Climate Change (IPCC), which was awarded the Nobel Peace Prize in 2007. He is a Fellow of the Royal Society of Canada, as well as of the Canadian Meteorological and Oceanographic Society, the American Meteorological Society, and a member of numerous national and international scientific committees like the International Scientific Committee for the World Climate Research Program. long-time secretary of the IGU commission on Geographical Education, head of the research project Strengthening the Bonds between Scientific Literacy and Human Understanding: Local Area Networks to help build Cross-border Solutions for Disaster Management, which was financed by the ICSU in 2010. Professor of Philosophy and Ethics at the University of Luxembourg and member of several of UNESCO’s cultural and social scientific ethics commissions. 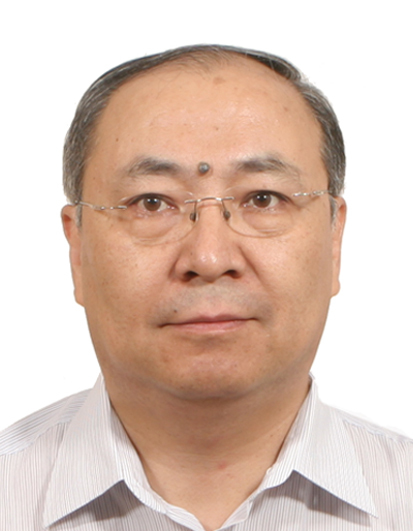 Vice-President of the Geographical Society of China, one of the leading representatives of the younger generation of Asia’s New Social and Cultural Geographers.